So far in 2015, we have collected 131 pounds of batteries for recycling! Keep up the great work, CFCC! 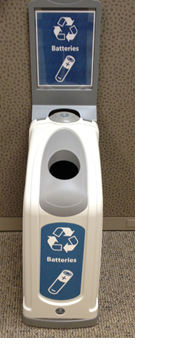 Have batteries just lying around, drop them off in the marked containers in both CFCC libraries or scattered around campus.